The galaxy's out there waiting for you. If you have a really nice starship, that is. In honour of the fast-approaching due date of Bioware’s Mass Effect 3, the culmination of its space opera epic, I’ve been replaying Mass Effect 2 in an effort to polish up my save game. Replaying the entire title gave me a second chance to appreciate just how good this game is. It’s not without flaws, but as a combination of action, character, setting and story, it’s hard to think of any titles that approach, let alone match it. Except that there’s one niggling gap in the experience, and it’s constantly under the player’s eye. I’ll skip over action: I play games for story and experience and leave twitch games to those with better hand-eye coordination and reflexes. When it comes to rich fictional settings though, Bioware have an excellent track record, and they’ve crammed as much as they can in here. The galaxy presented to the player is rich, varied and deep, with plenty of corners to explore, and the only potential frustration is that it’s much less free-roaming than the Elder Scrolls or Fallout games from Bethesda. The characters who accompany the player on their quest to save the galaxy are simply a joy. Richly detailed, flawed yet capable, you aren’t so much presented with them as you are offered a chance to get to know them. The life that they have comes from two sources: quality design, voice and motion capture work and a mass of thoughtful detail put into their backstories, even if you’re only partly aware of it all. My view of one character in particular was shifted appreciably by an easily overlooked text file found lurking in a data vault in a piece of downloadable content. Now that’s attention to detail. Which brings us to that gap I mentioned. Among this cast of real characters, the player’s avatar, Commander Shepard, is a plastic everyman (or woman). Not only is the Commander’s gender flexible, but his history is virtually a blank sheet, his ties to the rest of the universe loose at best, and his abilities and opinions subject to the player’s whim. It’s fair to say that the ship he cruises the galaxy in, the Normandy, has more character than he does. In fact, like the Commander, it was reborn bigger and stronger in the second game, and with a literally new personality. The Commander’s lack of identity is part of a problem that’s plagued makers of computer RPGs for years: the more you define your main character in a story-based game, the more you take agency away from your player. (1) The recent Deus Ex: Human Revolution was a wonderfully polished revival of a well-loved series, but there were times when you felt like you were just hitting one checkpoint after another as you followed the story of the pointy-chinned hero: your choices were limited to just how violent you wanted to be in reaching each checkpoint. Japanese-style RPGs, such as Final Fantasy, seem happier to establish your character in advance of the game, but their western counterparts tend towards the blank slate approach: the player creates the character then unleashes them on the world to participate in a the story. Bioware itself wrestled with this problem in its Dragon Age series: the first game gave players a multitude of options as to who they could be, the second narrowed down that scope dramatically and suffered for it. Outside the realm of the pure action offering, games work best as story creation, rather than story experience, engines. 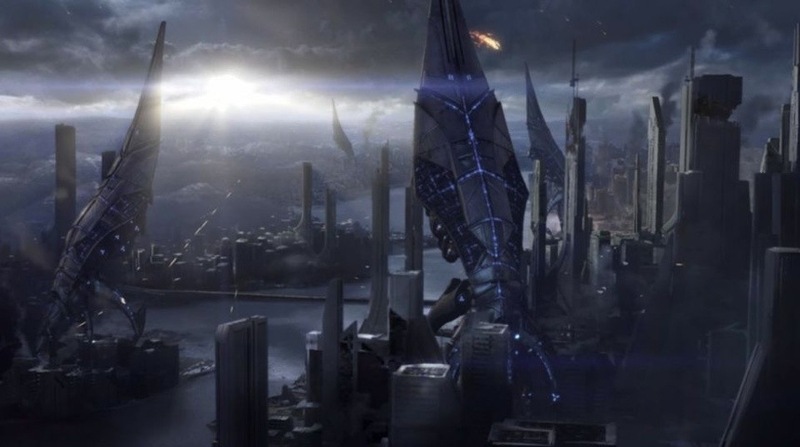 With Mass Effect, Bioware have created a galaxy full of secrets and characters, presented the player with a massive problem to solve and then let them go about it. Of course, the path that they can take to do so is limited, but the key is to create the illusion of freedom, and a big part of that is allowing the player to be the hero they want to be. In this way, Bioware and the player collaborate to create a more immersive story than Bioware could create alone: they’ll care more about the deeds and relationships of a character they identify with than they will about one presented to them fully formed. By allowing the player’s choices to feed over from one game to the next in the series, Bioware have deepened the impact of the story they’ve created. 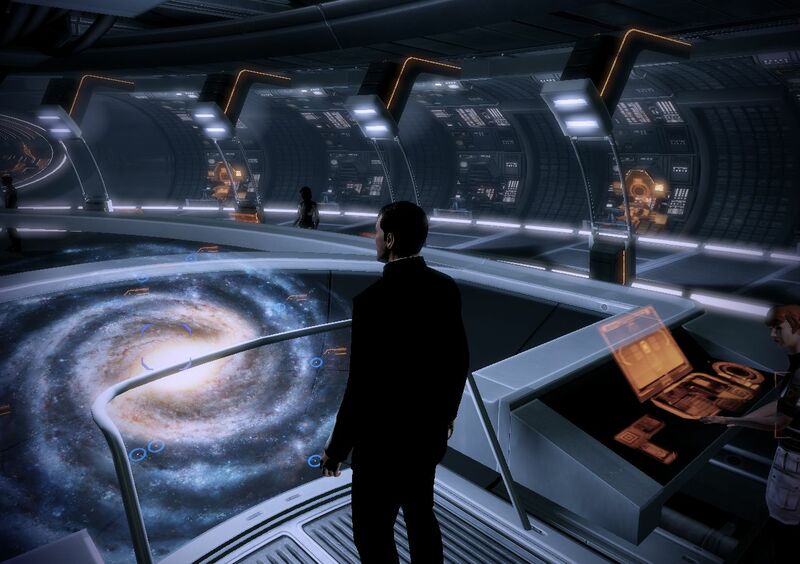 I’ll be interested to see how all this pays off in Mass Effect 3. At least now I have the perfect save game to start the experience with. (1) This trend was ably dissected and toyed with in Black Isle’s seminal Planescape: Torment, wherein the player is an amnesiac everyman, who repeatedly dies and has to deal with the choices made in past lives. The point made there is one of self-determination, in which the player has to actively consider choices made and understand their morality, yet has the freedom to choose any path, regardless of moral right or wrong.